How to turn it on: Tick Configuration | Tree and List | List | Cache folder sizes. Once ticked the recursive size (and item count) of each listed folder is polled only once, and on any later occasion it is read from the cache. This list takes a blink to load with Folder Size Caching enabled. As you see in the shot above cached folder sizes are marked by a prefixed ~ (tilde) to clearly mark them as non-fresh (and potentially stale). Note that the cache is not automatically refreshed on any changes inside the cached folders. This would go directly against the original purpose of reducing the amount of calculations. if you need exact numbers all the time, you should not use Folder Size Caching. How to actively refresh the cache for certain folders: Simply use menu "View | Calculate Folder Sizes" (Shift+F5). This command will refresh the cache for all selected folders, or for all folders in the list if none is selected. 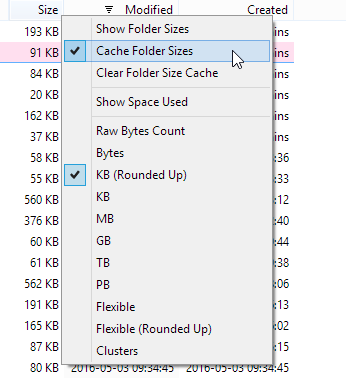 How to clear the cache: The context-menu of the Size column has a command "Clear Folder Size Cache". It will clear the whole cache (not just the cache for the currently listed folders). 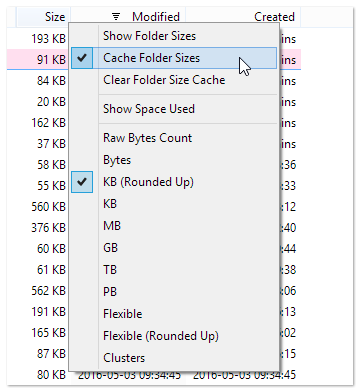 The cache stays alive when you turn off showing folder sizes. 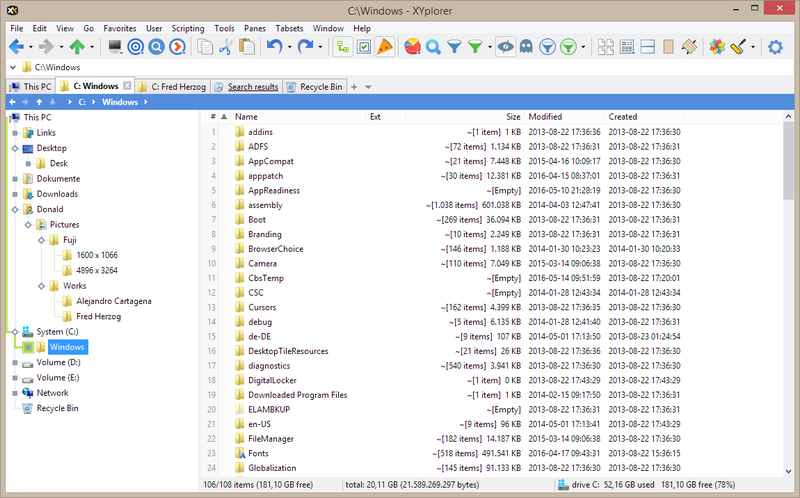 The cache stays alive across sessions (it is stored in the file fsc.dat in the XYplorer application data folder). 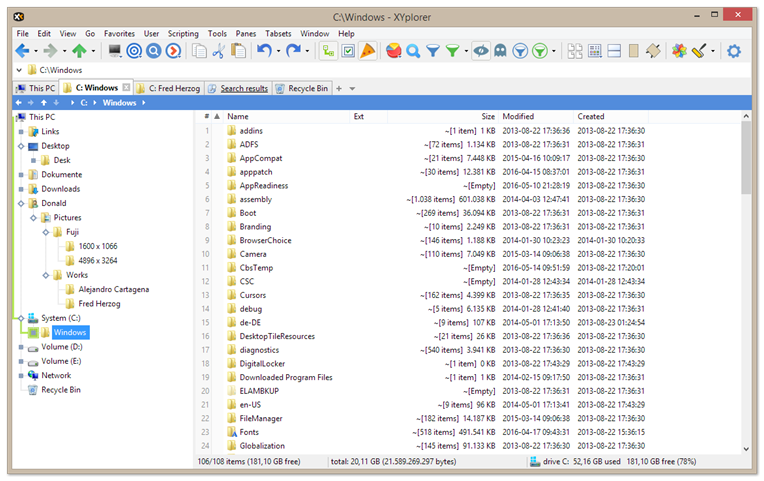 The cache is auto-updated when you rename a cached folder within XYplorer. 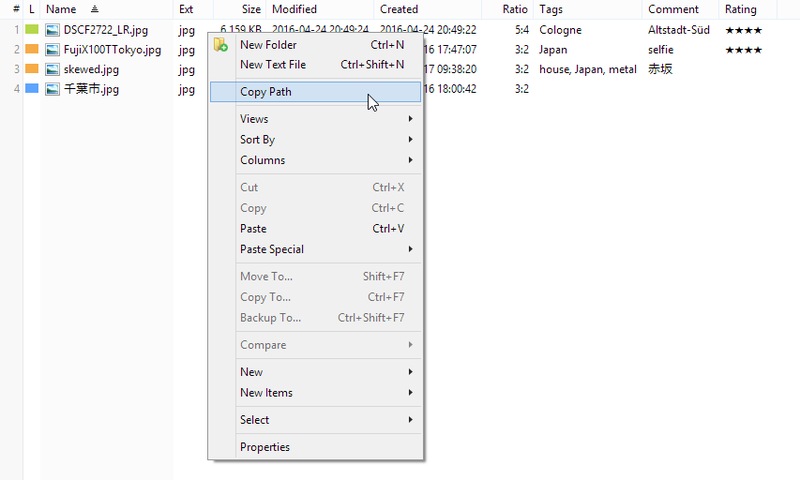 The context menu of the Size column offers an alternative way to quickly toggle Folder Size Caching. 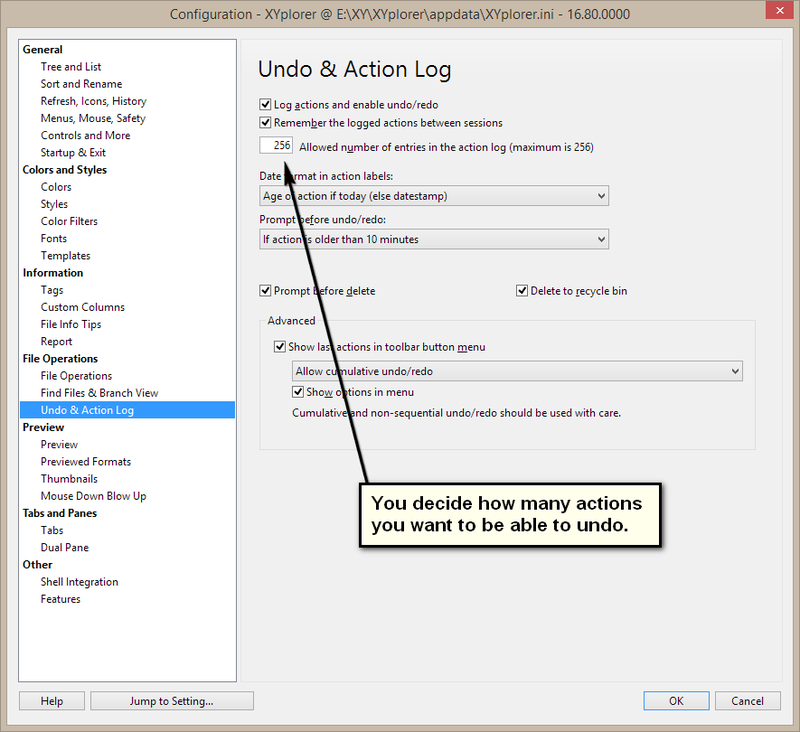 Options in the Size column right-click menu. For more details see the Help file. Undo/Redo. 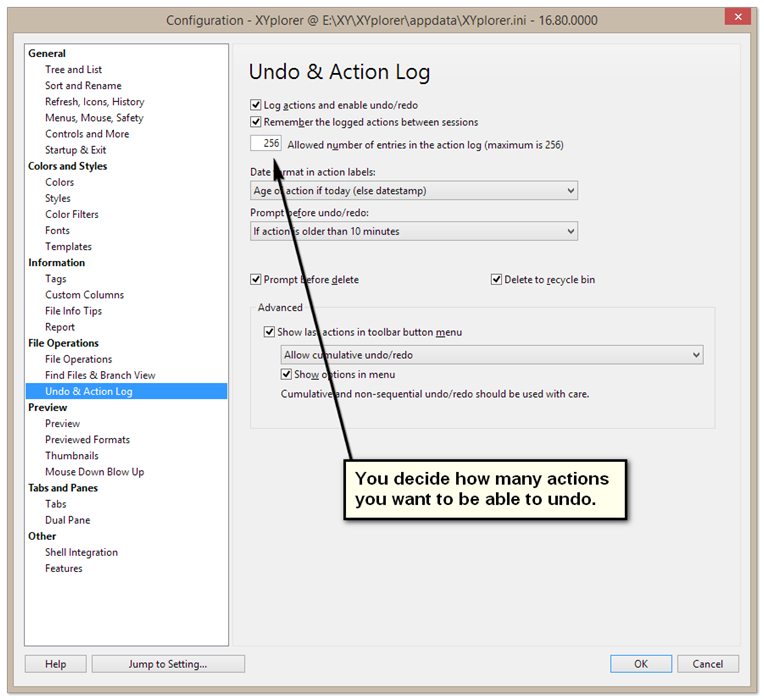 The number of undoable actions has been raised from 100 to 256. Copy Path. The white space context menu now features the shortest way to the popular Copy Path command. The shortest way to copy the current path to the clipboard. The path is copied with a trailing back slash. 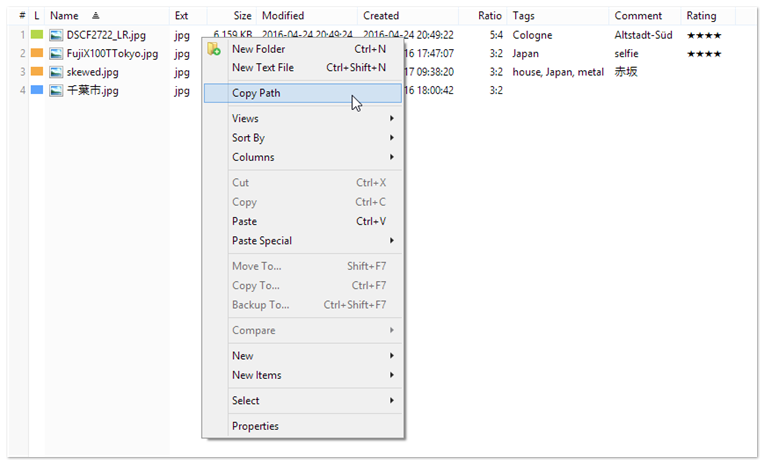 Of course, it’s also possible to send the output directly to the clipboard or to a file. And to list any file properties you can dream of, in any order and format. The possibilities for customized reports are endless. For details check out the help file.